This variety is more compact, needs no dead heading and is heat tolerant. They are easy to care for and are among the last plants to cease flowering at the end of a long summer. Supplied as 12 jumbo plugs (2.5 - 3.5cm diameter) ready to plant out. 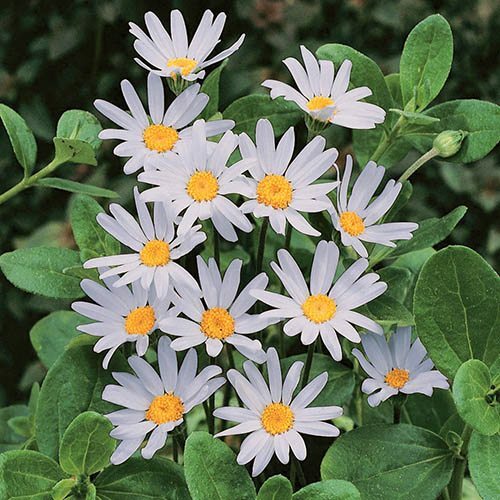 Lovely little daisy like blooms that are invaluable as part of a mixed basket or container as they add a colour combination that is seldom seen. This variety is more compact, needs no dead heading and is heat tolerant. They are easy to care for and are among the last plants to cease flowering at the end of a long summer.